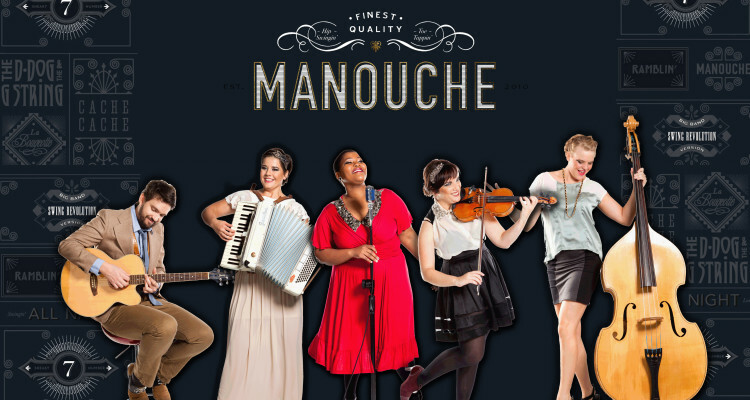 Manouche is made up of 5 incredibly talented musicians from all around Cape Town. With a mouthful from Muizenberg, a sprinkle from Stellenbosch, a nibble from Noordhoek and a fiery bite from Fish Hoek, they come together to share the wonder and foot-tapping beauty that is known as Gypsy Jazz. This 21st Century take on Gypsy Jazz blends other sounds from the likes of Tango, Waltz, Folk, and Swing, all culminating in an original, fresh and unique sound. Our tight rhythm section, made up of guitar (Bernard Kotze), and double bass (Sarah Blake) keeps your body moving while you are hypnotized by our virtuosic violinist (Renee Stander), vivacious vocalist (Anneli Kamfer) and audacious accordionist and pianist (Lize Dekker). They keep their audience captivated through everything from large music festivals, food markets and wine festivals to corporate functions, weddings and intimate restaurant performances. 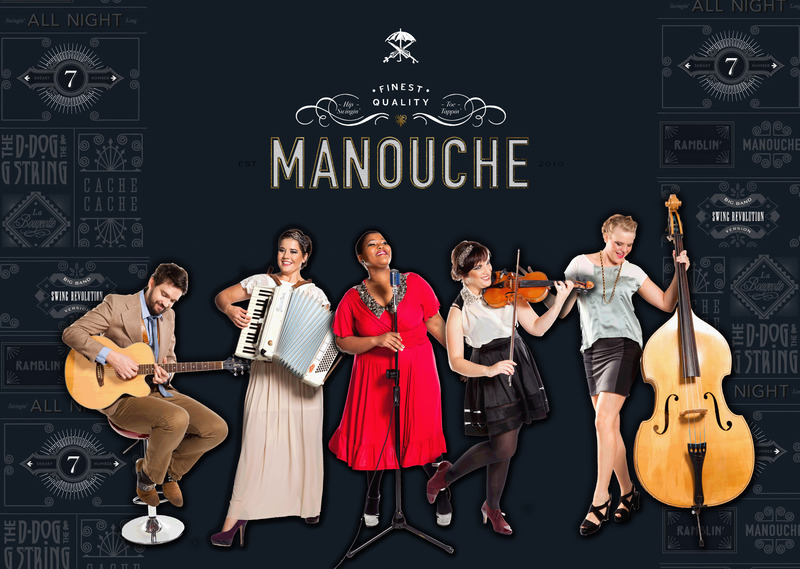 Keep your dancing shoes at the ready, ‘cos Manouche is bringing the Swing Revolution!